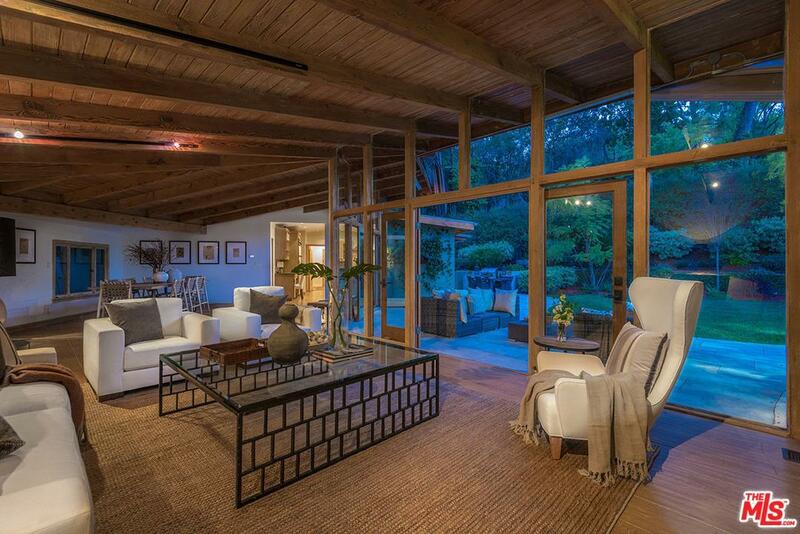 Private rustic contemporary! Breathtaking home remodeled to impeccable tastes typifies indoor-outdoor SoCal living with an open plan that's perfect for entertaining. Completely updated from top to bottom with raised ceilings, new front entrance, sq ft added to both the kitchen & master suite. Expansive floor to ceiling walls of glass overlook lush park-like grounds, pool and built-in BBQ. The theme is simple while sophisticated with loads of natural light blended with the warmth of wood. 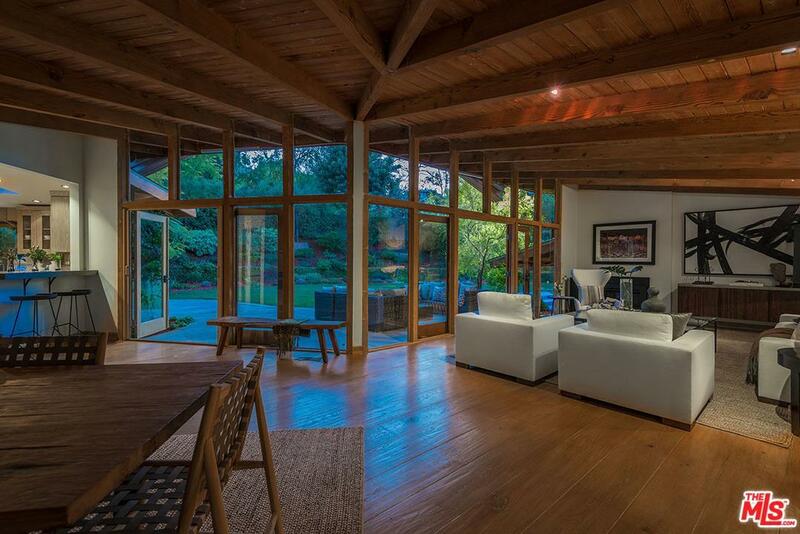 Enjoy wide plank white oak hardwood floors, rough-hewn ceiling beams and skylights throughout. Gather around the large island in the gourmet chef's kitchen w/ custom white oak cabinets, decorative concrete countertops and a wide stainless steel apron front sink. Upgraded appliances include a Wolf range, Thermador refrigerator & dishwasher. 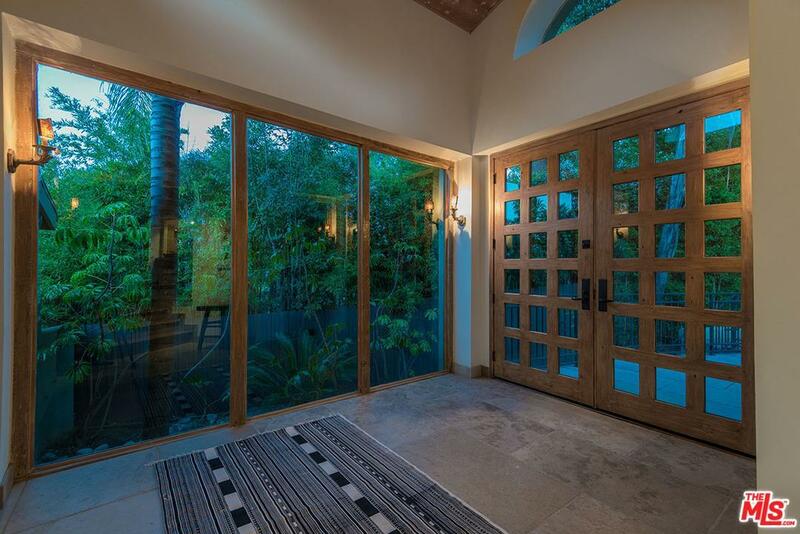 The expanded master suite is a tranquil retreat with twin French doors that provide views to the secluded tree-lined landscape & private access to the patio & pool. Sold by Nikki Joel BRE#01450987 of Coldwell Banker-Studio City. Listing provided courtesy of Craig Strong DRE#01450987 of Compass and Tara Rose CA DRE# 01765162 of Compass.